Hall Royd Junction was a major junction on the old Calder Valley main line of the Lancashire & Yorkshire Railway, just on the Yorkshire side of the Country boundary. Its also the name of a model railway in 4mm scale being constructed in a loft in the Shire counteis. By way of introduction, I am Keith Wallace, a keen railway modeller since 1957, and this site records some of the adventures on the journey to create a slice of railway nostalgia. Hall Royd is a modest junction high up in the Pennines. Yet it's the first junction on the main line of the L&YR as it headed towards Lancashire. Straight on was Manchester - the hub of the old system, and beyond Todmorden was Stephenson's famous Summit Tunnel. At Castleton an important set of tracks heading off to Bury and Bolton, which gave connections to Preston and the coast at Southport. The right hand set of tracks set off for the summit at Copy Pit, and then fell towards Burnley, Blackburn, Preston and Blackpool. The site provides information about the real railway at Todmorden, and also connecting lines such as Copy Pit or Rose Grove to Colne. The L&YR was a key part of the North's industrial infrastructure and huge quantities of coal were heaved over the Pennines to be distributed right across the whole of Lancashire. In the last few years of steam, the triangle of junctions at Todmorden became well-known for being the home of the last British Railway bankers, with 8Fs propelling both the coal hauls bound for Rose Grove and the Blackpool-bound excursion trains. Although much of the LYR infrastructure survives, items such as signal boxes and their associated signals were culled in the 1960s. And for anyone interested in seeing LYR signals a visit to the Bala Lake Railway is highly recommended, as the signal collection amassed by George Barnes is still in daily use there. Check out the full index of prototype resources on the site. 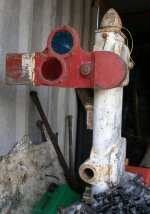 For modellers, the site records some of the issues associated with building a model railway, including a number of How-to-do-it pages showing how to ballast track, connect PECO code 70 to Code 100 track cheaply, how to work points using DPDT switches, how to cross the baseboard joint, and much more! Looking for free downloadable buildings to make? 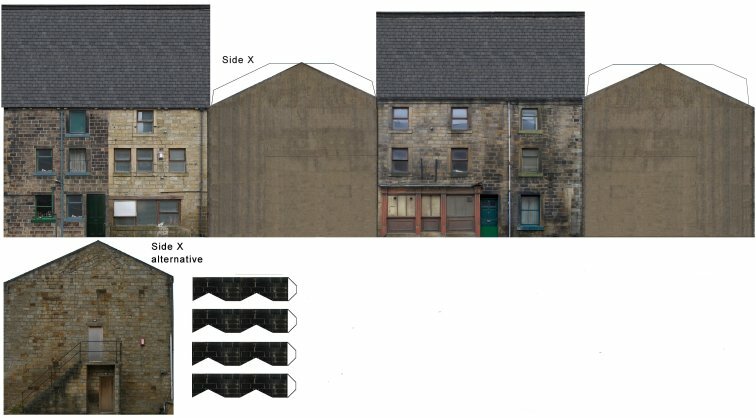 Popular kits include a house in Todmorden, LYR and LNWR signal boxes, an LMS-style asbestos lamp hut and 1930s-style small factory. And if painting distant signal arms accurately and correctly is proving too difficult, check out the signal arm transfers for Upper Quadrant, and GW steel Lower Quadrant types. The site is updated a couple of times each week, and the Changelog shows recent developments. The first train listed in the public timetable and carrying fare paying passengers used the Todmorden curve on Sunday 17 May 2015. 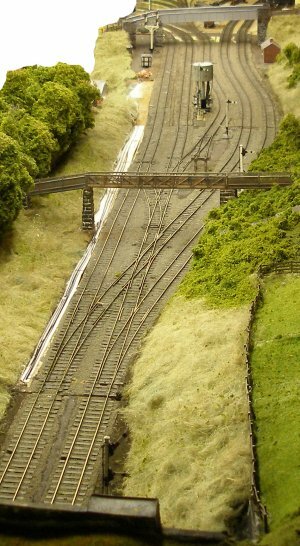 Hall Royd Junction: the model. Time frame 1965/6. Point rodding currently being installed, and a permanent signal box still required. In this early September 2015 view, the scenery ends at Hall Royd Road bridge. Photographer P Eckersley, Copyright: J K Wallace c. 2013 All rights reserved. 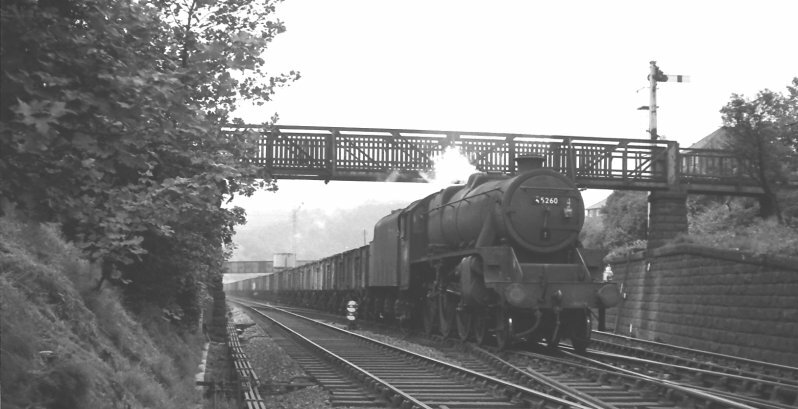 Black 5 45260 passes under Lower Laithe House footbridge with a train of empty coal wagons heading from Lancashire to Yorkshire on 23 July 1966, and its front bogie crossing the diamond crossing of Hall Royd Junction. Features of particular note is the square ex-L&YR signal post with upper quadrant arm protecting the junction from the Burnley direction; the missing railings on the footbridge itself, and the suggestion that the bridge was painted light grey but badly rusted. It's also possible from the light on the girders that the decking might not be complete at this time. BR removed the bridge along with the signal box in 1973, and so effectively cutting off the house down on the Halifax Road from its lands and water supply lying north of the railway. A photo c. 1937 shows the bridge once sported smoke deflectors, and their removal may have hastened the decline of the bridge.